The second annual Business Analytics Competition was held at Manhattan College in May 2016. The event boasted 82 participants from 19 different colleges. Two phases of data were provided to the competitors. Phase one was distributed months prior to the competition, allowing for ample time to design and construct a poster that illustrated the solutions. Phase two, on the other hand, was only made available to competitors 24 hours before presenting. Aside from the competition, there was an esteemed keynote speaker and an awards ceremony at Microsoft. On the first night, all students and faculty advisors spent the evening participating in a scavenger hunt around Manhattan College to establish relationships with other participants. Gilt.com is an online shopping website with over 6 million members. A dinner and award ceremony took place at the Microsoft Technology Center (MTC) in New York City, 11 Times Square. Conference attendees will met with Microsoft data scientists and analytics professionals. Ithaca College Third Prize Online Discount Retail Trends & Flash Sale Performance at Gilt Groupe, Inc.
University of Waterloo Second Prize Gilt: Think Outside the Closet, Eh? Anne Robinson is the Executive Director of Strategy and Forward Supply Chain at Verizon Wireless. She has led a lauded career in Business Analytics in the telecommunications industry. Among her several notable accomplishments at Verizon (2011-present), she designed and implemented distribution innovations, and leveraged advanced analytics models to optimize inventory levels, resulting in multimillion dollar reduction. Previous to joining Verizon Wireless, Robinson held various positions at Cisco Systems, Inc. 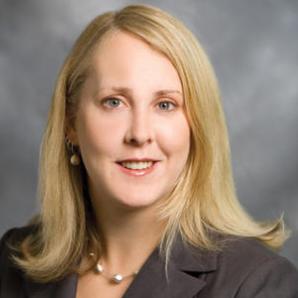 Her responsibilities at Cisco included managing advanced analytics, business intelligence, and performance management teams across the supply chain. She and her team were also responsible for evaluating and improving the distribution inventory network as well as establishing a statistical forecasting capability for predicting demand. As the driving force for many foundational and cross-functional process innovations, she helped establish Cisco’s presence and recognition as a leader in business intelligence and analytics, including being inducted into the balanced scorecard hall of fame. Anne was the Vice President of Marketing, Communications and Outreach at INFORMS before being elected President in 2013. INFORMS is the largest international society in the world for professionals in the field of operations research, management science, and business analytics. During Anne’s term, INFORMS unfolded Analytics magazine, INFORMS certification, continuing education, enhanced information technology, and several new outreach programs. She was a powerful force in shaping the strategic plan for INFORMS’ pioneering decision to grow from operations research and management science to the field of analytics. In 2012, Anne with the help of a group of credentialed INFORMS volunteers, developed the INFORMS Analytics Maturity Model. For her many contributions to the field of operations research and analytics, and for her distinguished service to INFORMS, she was awarded the 2015 George E. Kimball Medal. A Ph.D. in Industrial Engineering from Stanford University, Anne is a popular industry speaker, has served on several advisory boards including the SAS Analytical Customer Advisory Board and was a topical editor for the Encyclopedia of Operations Research and Management Science. A frequent tweeter, you can follow Dr. Robinson @agrobins. Igor Elbert is a Distinguished Data Scientist for Gilt.com. Mr. Elbert has worked with big data for over 20 years. From calculating financial risk for Salomon Brothers to tracking movements of millions of items across the supply chain for major brands, Mr. Elbert has innovatively pushed the frontiers of data analysis. As VP of Quantitative Analytics for Barnes & Noble Mr. Elbert used a plethora of data to offer his customers a unique in-store and digital experience. As Principal Data Scientist, Mr. Elbert supports the mission of Gilt.com to create the most exciting, curated shopping experience that helps customers find and express their style. John O’ Sullivan is the Director of Technical Strategy at Microsoft on the US Industry team focused on Media and Communications accounts. In this role, he aligns customers’ strategy with Microsoft technologies to drive adoption of the Microsoft platform across the industry. One of the current areas of focus in Mr. O’Sullivan’s position is assisting customers with digital transformation. Prior to his current rule, Mr. O’Sullivan has held positions across Technology and Advertising industries. He began his career at Air France as a manager in the information technology department, and continued his career at MediaServ, Software Spectrum, Lucent Technologies, PubMatic, and Liquid Analytics. 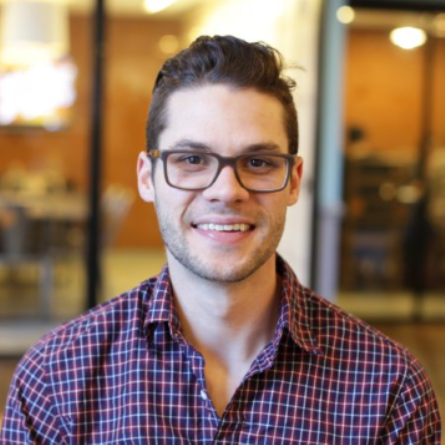 Daniel Donohue is an instructor of data science and data engineering at the NYC Data Science Academy. He teaches full-time boot camp, and employees of many corporate clients in topics ranging from basic programming in R and Python to machine learning and statistics, to subjects coming from the full big data stack. Prior to joining NYCDSA, he was a member of the department of mathematics at the University of Missouri, doing research in topics in algebraic geometry. Rassul Fazelat is a Senior Solutions Consultant at Cervello, Data & Analytics Consulting. Mr. Fazelat works in New York City, bridging business initiatives with Big Data technologies. He is the organizer of three different local New York City Big Data Meetup groups and is very active in blogging about latest Big Data technologies on LinkedIn. Involved with the Big Data segment since its inception, he currently hosts one of largest Big Data specific professional networks on LinkedIn.